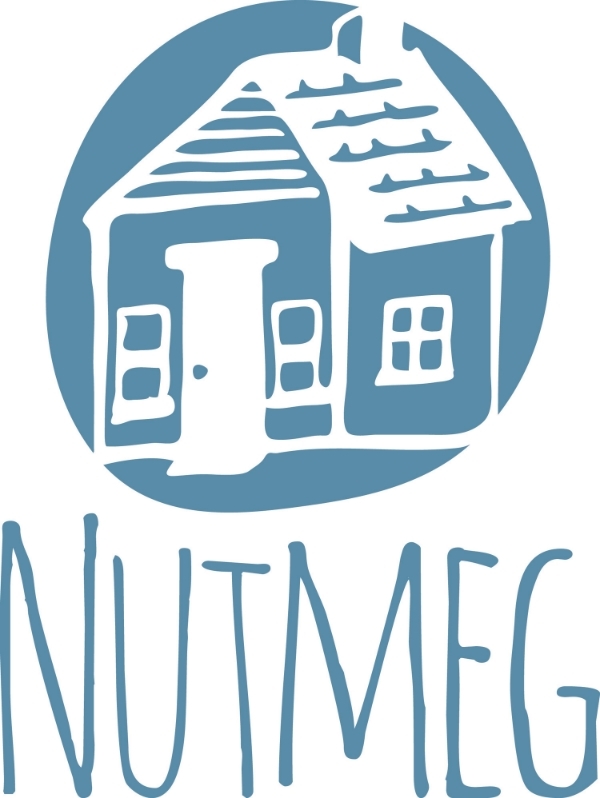 Sponsor: I wanted to thank one of our sponsors for this week’s episode, Nutmeg in Nashville, Tennessee. 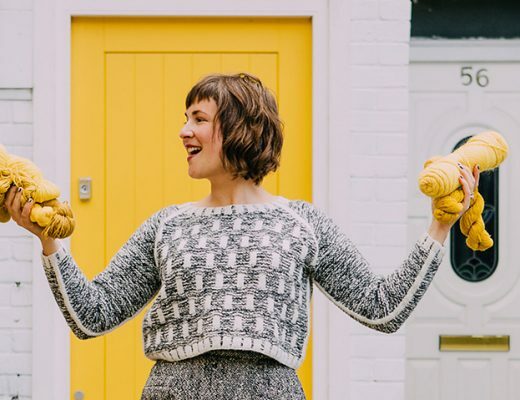 Nutmeg started as a cottage industry, out of creator Meg Anderson’s kitchen, with pop up shops and workshops. 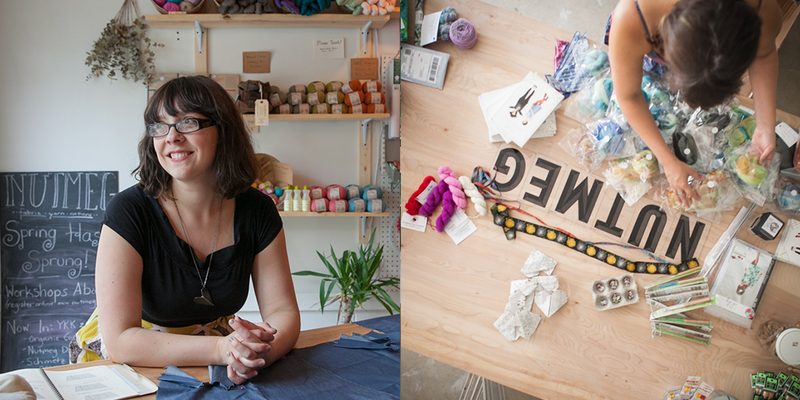 The store is a passion project, it’s about building a space for the vibrant community of makers to be inspired. They carry unique fabrics, perfect for building a real wardrobe with, and lovely prints for quilting, etc. Meg works hard to carry fibers that are one of kind, from small batch makers, as well as skeins for folks that are just learning. She dreams of one day having an entire wall of local farm yarn. It’s important to her to have quality items, that feel accessible, so that people feel welcomed into the world of knitting/sewing and inspires all the creative juices. Make sure to visit Nutmeg when in Nashville and online at nutmegster.com, where you’ll find a really great selection of maker goods, including their new yarn lovers club. You can find Nutmeg on Instagram @nutmegster. 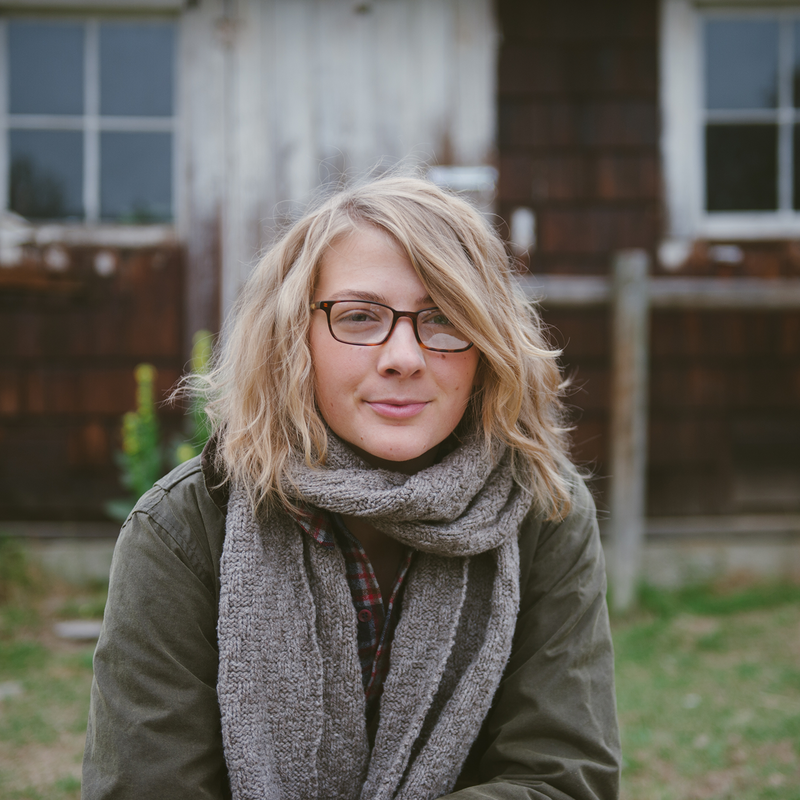 Fiber folk: This week we get to follow the journey of southern sweetheart, Rebekka Seale of Camellia Fiber Company. 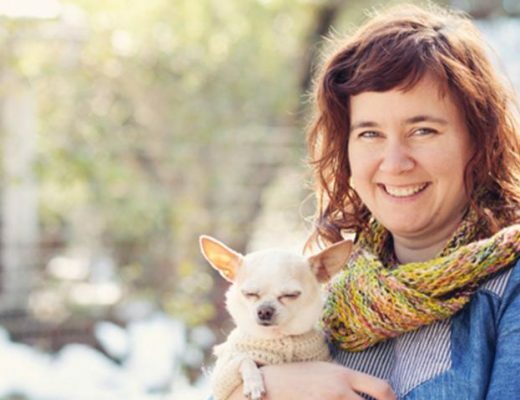 Many of you may be familiar with her beautiful handspun and naturally hand dyed yarns, but it’s the woman behind this operation and endeavor that you really must get to know. As we talked and I listened to her stories, there was a sense of familiarity in the ways of career, dreams, family and pursuits. Many of those stories you get to hear here today, and I hope you’ll be as charmed and inspired by her as I was. You can find Rebekka at camelliafibercompany.com and on Instagram @camelliafibercompany. Man on the street: For this week’s “Man on the Street” I asked a follow up to last week’s question: “For those who have naturally dyed fiber or yarn…what are your favorite dye materials to work with and why?” We had some great answers from Maria @fernfiber, Nikki @woolenviolet, Kerry @kerryrobb, and Jennifer @jay_kay_knits. Giveaway: The winner of last week’s giveaway, is Megan McDonald ! You’ve won the beautiful Flambeau shawl kit. Congratulations! The giveaway this week is sponsored Camellia Fiber Company, and we’re giving away a skein of bulky handspun US grown Merino, and a pair of size 13 Craft South birch needles, made in North Carolina. To enter this giveaway, leave a comment in the comment section at the bottom of the post page. Events: I wanted to let you all know about an exciting new event that is taking place this October. One of our past guests, Hanahlie Beise has started a wonderful new residency, Colour in the Cauldron. It is the first of a textile research & residency series organized by her company, Hinterland Textiles, and will take place in Oaxaca, Mexico. Located high in the mountainous Central Valleys region, Oaxaca is rich in culture and is known world wide for its history in textiles and natural dyes. This residency includes nine nights’ accommodation at a beautiful bed and breakfast in the heart of the city. Folks will participate in an intensive natural dye workshop with Elsa Sanchez Diaz and Eric Chavez in Teotitlan del Valle for two full days, have an open studio day in Oaxaca City where they focus on dyeing with cochineal and caoba, chauffeured trips to a cochineal farm and coyuchi cotton village, guided tours of many local museums and galleries and scheduled talks and conversations with local textile experts and tours to various parts of the city and surrounding area. You can find more info on how to join this amazing excursion on the Hinterland website. Lovely podcast. I always look forward to listen to each and every episode. I have been admiring Rebecca’s work for a long time and it’s so great to hear her speaks. What a lovely way to spend my morning train ride. I’m in-between projects so this was a nice way to have fiber with me! Have just found your gorgeous website thru Instagram and am just about to sit down and listen to your podcasts. Thank you. Oh I love Camellia Fiber Company yarns! I have a few skeins of marl hand spun and alpaca wool. Rebekka is so wonderful. Thanks for another great podcast. I will be checking out this yarn for sure. Loved the episode. 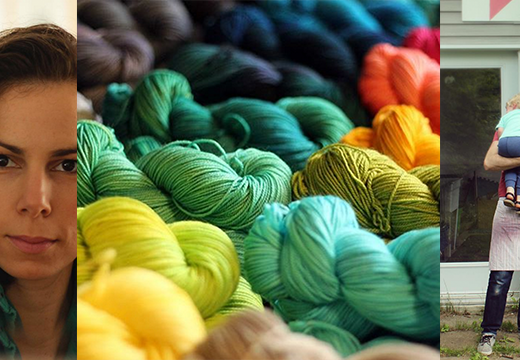 I love the photos and beautiful colors of yarn in this blog. Camellia yarn looks beautiful! Great interview. I just stumbled across this site! So lovely! I’m new to knitting, so I’d love to win that gorgeous yarn and needles! It’s been so nice getting to know this circle of makers. Thanks for introducing me to one more! Lovely yarns! Love it all! I follow Camellia Fiber Company on instagram- so glad to now know this site! Great giveaway! This episode is such a pleasure to listen to! I’ve been following Rebekka (Camellia Fiber Co) on Instagram for quite some time, but its practically impossible to buy any of her yarns anymore, especially if you are in Oz. What beautiful yarn! I’m really enjoying this interview. Just found your beautiful blog through Camillia Fiber Company on instagram. Love the Camillia yarn and love your website!!! what a great giveaway and kal! so excited about both! Bringing some wool talk to my tuesday once again. I wish I could get the intro music as a ring tone lol. so jingly. I’ve only recently found your podcast and have been binge listening for days! Thank you for sharing so much, I find it really difficult to find this range of information and experience in my day to day life. This podcast was great and I love what Rebekka is doing. Love this podcast! I’ve been following Rebekka for a while and I’ve been dying to get my hands on her yarn. Love the podcast and your instagram feed! Keep up the awesome work! What beautiful yarn. I love learning about these little companies. Just finished listening to the episode and there is definitely the feeling of familiarity! That feeling is so wonderful knowing there are kindreds out there! Rebekka’s story behing her black and white alpaca yarn is the sweetest! I really want to win this one, please! Your podcast is amazing and so are all of the people you interview. Thank you! I love camellia fibre company yarn and rebekka’s beautiful natural colors! I would love to win the giveaway! Thanks! Wooly goodness! Thanks for the podcast. Would love to get my paws on the Camellia Fibers treats. Fantastic as always! I love hearing the voice behind the artists. Thank you. I loved the interview with Rebekka. What a lovely story! How lovely! It would be such a treat to work with that yarn, and with needles made in my new home state! I love following Camelia Fiber Co. on Instagram and would LOVE to win this giveaway! 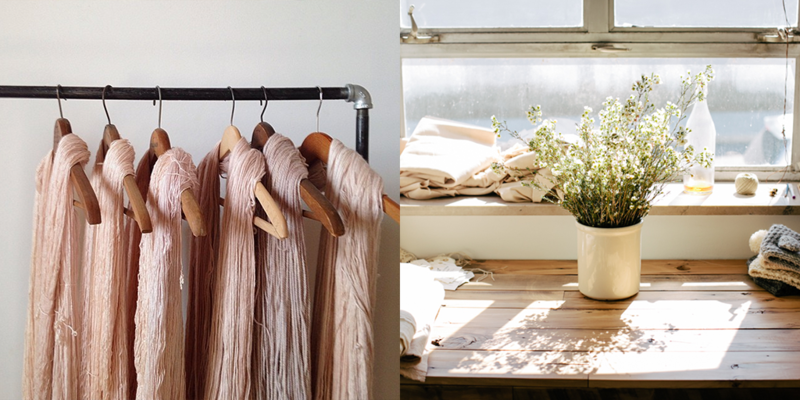 Such an inspired feed and shop. Thanks for introducing us to Nutmeg! Wonderful episode. I wish I could go spin yarn for her! The dichotomy of loving yarn as much as I do while living on Florida’s Gulf Coast is ever present. Glad to hear Rebekka’s story! I love your podcast! I look forward to the days when I can listen to it on my train commute. I’ll be listening over a hot cup of tea this morning, thank you for another podcast and also such a gorgeous give away. beautiful product! everything about this post is great! just had a chance to fondle camilla fiber yarns this weekend at craft south!!! YUMMY!!! I have been loving Camellia’s beautiful yarns from afar for so long, just gorgeous! My fibre journey began in a similar way — I learned to spin while working as an historic interpreter at a reconstructed 1860s village. That job also introduced me to natural dyeing, and, in answer to the man on the street question, I love working with materials that I can source from local parks and ravines within walking distance of my urban home. Over the past year I have experimented with buckthorn berries, black walnut husks, sumac berries and horsetail. You always have lovely individuals on the podcast. I love hearing their stories. Thank you so much. Fabulous interview!!!! I just loved it! A beautiful inspiring interview. 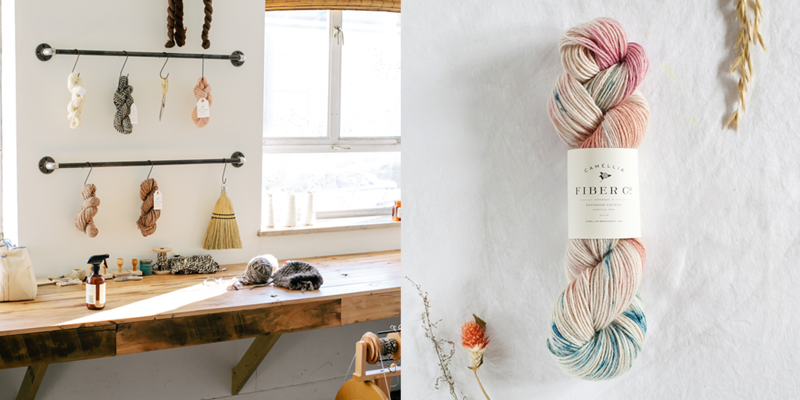 I woudl absolutely LOVE to try out her yarns and have been passionately dreaming about embarking on my own naturally hand dyed yarn journey for some time now. Nashville is fast becoming one of my must visit cities, too! Oh my gosh, I LOVE Rebekka Seale! Woo–hoo! I have worked with some Alpaca from Rebekka before and it was wonderful! So great to hear some of her story and I can totally relate to her childhood “geekiness”! Every time I listen to an episode, I have trouble getting back to work. All I want to do is knit! I really enjoyed your conversation with Rebekka. I look forward to trying out some of her yarn. Thank you for introducing me to Camellia Fiber Company! Those colors are just beautiful! Just took a look at the Camellia Fiber Company shop and they sure do have some lovely stuff. I’m constantly inspired by this podcast! I love the podcast, and I love each and every guest you have interviewed so far. I love the pics! Beautiful yarn and a generous dash of inspiration! Beautiful podcast, as always! Great to see the southeastern fiber community being represented by such talented and genuine people. Thank you! I love to listen to your podcast while I’m knitting! Another great podcast. So exited to hear Rebekka Seales journey! Camellia Fiber Co has some of the prettiest yarns around. Another interesting podcast. And I’m entering again, hoping for a price. Love your gifts. Looks like wonderfully squishy yarn! Thanks for the chance to win! Such an exciting podcast! I am very inspired by Rebekka’s story. 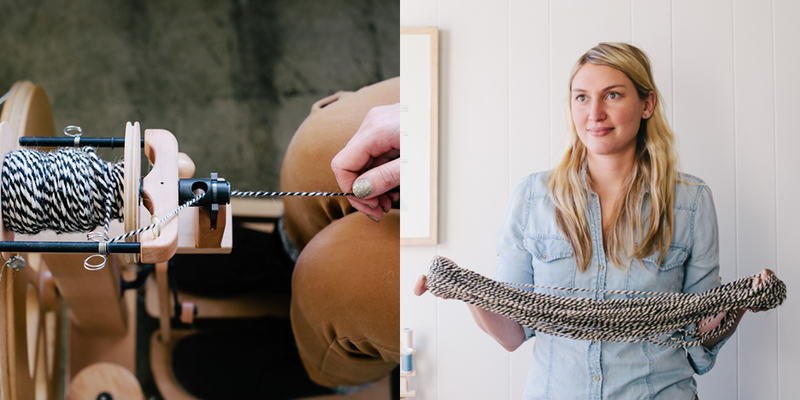 Would love to knit with Rebekka’s yarn using needles from my home state! Rebekka’s yarns are absolutely stunning. Hearing her story and her passion was so inspiring to me. I’ll definitely be purchasing some soon. This podcast is my life!!! I live for Tuesday and the explosion of inspiration that comes with it. Nashville is quickly becoming a place that I want to live! So many wonderful & talented people coming from there. Nice podcast. An inspiration to get back to spinning. I just found your podcast because of the Home&Away KAL. I’ll be joining the KAL to make a Lesley sweater! I love how Rebekka learned to spin at a Renn Faire. They are truly wonderful places! Love your podcasts but if only I didn’t need to sleep so I could catch up on the ones I have missed. Ashley, your podcasts are so inspiring and entertaining. I loved hearing about first learning to spin for a Renaissance reenactment and also commenter Susan’s similar experience learning as part of her work as a historic interpreter. Thank you as always for these glimpses into fascinating lives and makingness to spur us all on! I loved this episode. Rebecca has such a passion for fibre, and her yarns are beautiful. Makes me understand why I love knitting so much. thanks so much for these great podcasts! I’m loving your podcast, which I just discovered this week. It has truly inspired me to step up my own fiber journey. It’s good to hear from people like Rebekka who, like me, were super nerdy and deeply enchanted by the fiber arts at a young age. Also, I was quite surprised to hear from so many Asheville, North Carolinians, and I wonder where these people hang out and why we are not geeking out over natural dyes together. I’ve been admiring Rebekka’s work as an artist and now her yarn for a long while now, and I would LOVE to win! Love this episode like I did love the first ones. Thanks! Love Rebekka’s philosophy for her business. Her yarns look beautiful and look forward to working with it when more becomes available. I was so happy to see the little red 1 next to the Woolful icon in my podcast feed this morning. Listening to the podcast then seeing the photos made me just want to hop in my truck and head over to see it in person. Since that would be about 14 hours of driving, I’ll just have to be satisfied with the pics and hope to get some of her yarn some day. Thanks again for such a wonderful episode. I am so excited about this episode! I have followed Rebekka for a while and am so delighted to hear her story 🙂 Her aesthetic is so pleasing and it is interesting to hear her changes in her life to give her body a break – I am in similar struggles everyday with my art and work. I love every episode of your podcast. Every one leaves me feeling so inspired and eager to learn so much more about every aspect of the fiber industry. Beautiful yarn! Thank you for the terrific giveaway. Oh, wow, would I love to win this yarn! In fact, I would move to Nashville to learn from you, Rebekka, and help you grow your business. Just gotta get my two teenagers launched out of the nest… 😉 Great podcast as usual, Ashley! Lovely podcast. You do such a great job interviewing people. 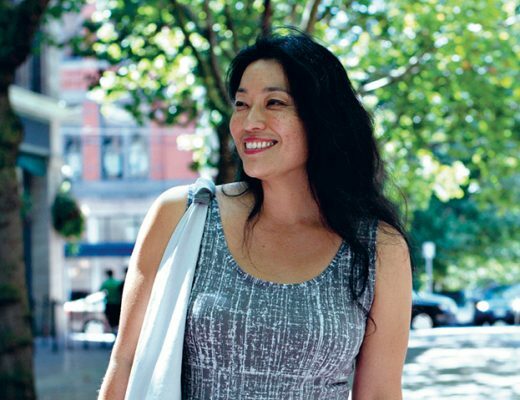 Great interview, love her yarns! Thank you! That was so inspiring! I would love to work with those beautiful colors. I am a newcomer to your informative podcast and am enjoying it so much. It is a total pleasure to get to know familiar and new (to me) fiber lovers, designers, and makers. (I guess the fiber makers would be the sheep…?) The best part is the care, ethics, and intentionality in all these creative endeavors and end products. Bravo for knitting with a soul! Beautiful yarns! I cannot wait to listen and always an inspiration !! Would love to give this yarn a try! Another great episode, I can’t wait for next week! It’s very exciting to hear of Marino from the U.S. since I usually associate it with Italy. I look forward to trying it. Also, even though I’ve heard of wooden needles, I’ve never used them and am interested in learning about how they feel. Are bone needs common at all? I’m completely enamored with your podcast. I has rekindled some of my knitting fire and certainly inspires me to stay on track with some of my fiber-farming goals 🙂 Keep up the good work! 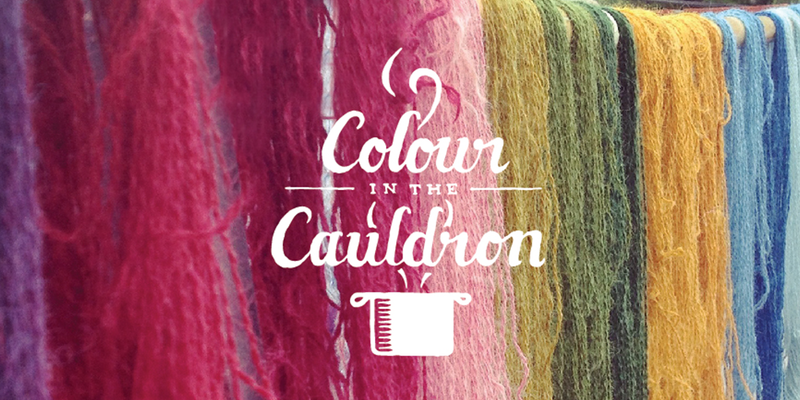 Wonderful podcast and lovely yarns! I look forward to hearing the amazing journeys of the fiber artists each week. Another wonderful podcast! Even though I was on vacation, I was still able to listen. Thank you!! Another fantastic episode! I can’t wait to try out this yarn! Love the blog and the podcast! Thanks for the giveaways – Camellia’s yarns are beautiful! What a wonderful podcast! I love Camellia Fiber Co. yarn, and I’d love a pair of those beautiful needles. I really enjoyed this episode. I get so much new information and ideas from your interviews. I so long bed hearing the roundabout route to what became Camilla. I’d love to work with some of her yarn! Another wonderful episode! I just can’t wait for the next one! Thank you so very much for what you do! this podcast was so lovely as usual, and the giveaway is so lovely!! Oh, such lovely photos and yarn! and a great episode too. I just found the podcast and what a wonderful first episode! Rebekka is practically my neighbor. While I spend most of my time in Asia I travel home to Tennessee several times a year. I also adore spinning and dyeing although I’m a bit more in love with amazingly bright chemical colors. Thank you for a great podcast and I’m looking forward to catching up! Catching up on episodes…beautiful as always! It’s such a joy to listen while I knit! Always a pleasure to listen to your podcast. I find myself scrambling to locate your guests’ websites and social media accounts because I feel like I MUST connect with them. I always want to buy something just to have a little piece of what they do. Thanks for providing the hook up! Wow the Camellia fiber company yarn is so beautiful! I live in Tennessee and this is the first I have heard of Camellia Fiber Co. I will look them up – thanks for sharing. My best knitting friend is far away out of state so it’s nice to listen to your podcast and feel like I’m a part of a close community. I love the intros to new people and learning more in depth about people whose art I already adore. Thanks as always. Yarn is new to me. Thanks for the introduction! Oh my goodness that yarn is so scrumptious. I loved hearing how Rebekka got started spinning 🙂 And I totally want to be one of her spinners who spins around the clock! Great podcast! I love hearing how people find their passion, who knew RenFests could spark that kind of love? 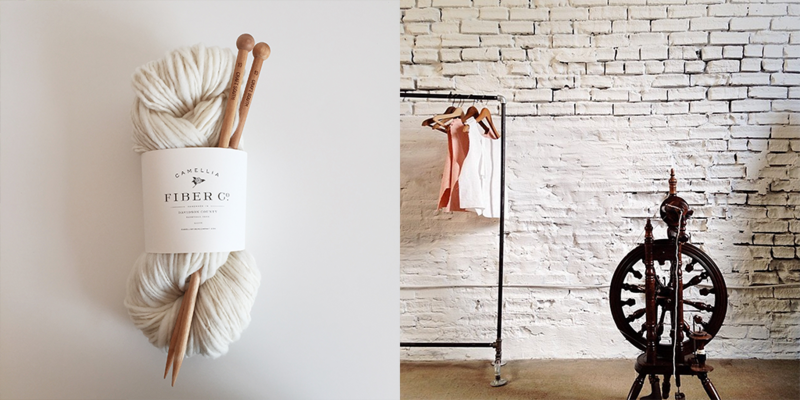 I love following Camellia Fiber Company on Instagram, such lush photos, she has me drooling over her yarns like a fool! Intelligent, warm, enriching podcast as always. Lovely to listen to whilst sewing! Another awesome podcast! Looking forward to next weeks! I’ve just discovered your podcast. Thanks for sharing all of these amazing makers. I look forward to your podcast every week. Thank you! Thanks for the interview and the giveaway. I want to try Rebekkah’s yarn so badly. Oh that yarn does look delightful. Thank you! Lovely lunchtime listening – thank you for this. The man on the street portion reminded me of naturally dying easter eggs with my grandma using onions and beets and other root vegetables. Wish I wasn’t at my desk right now so I could experiment with fiber! 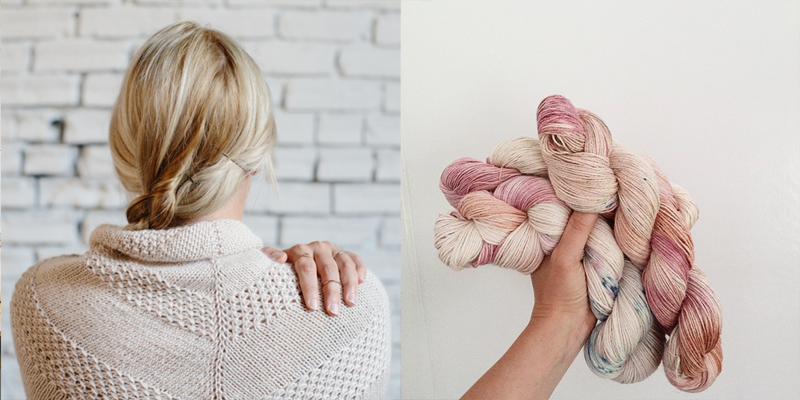 The Camellia yarn sounds so dreamy, can’t wait to get my hands on some. Super happy to have discovered the Woolful podcast. I love hearing all the stories about how people got into fibers. Dreaming more and more about starting a fiber farm. Thanks for the giveaway opportunity! Wow! What an amazing episode. I was lucky to take a workshop with Rebekka and she is the kindest person and has the most beautiful yarn. 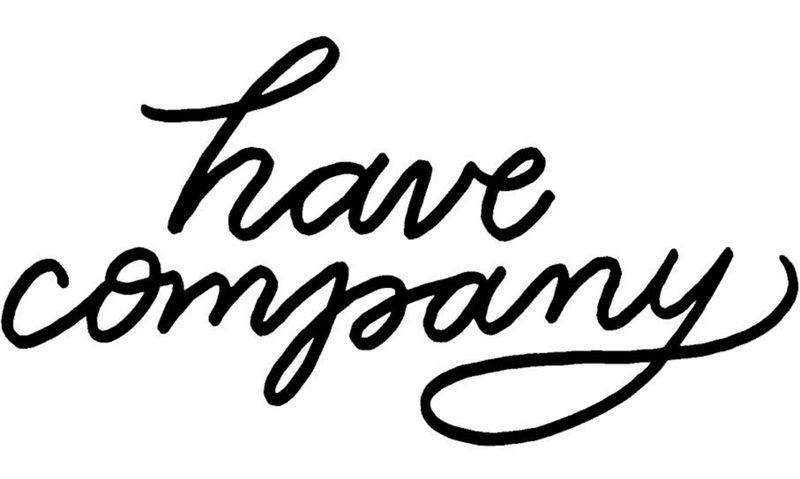 I would love to see the Have Company shop in person. Wonderful podcast & the yarn looks so soft!! This was a wonderful podcast and i enjoyed it very much. So interesting and inspiring, and makes me wish for her yarn! Interesting podcast. Great to hear from one whomis living her dream. Thanks formthe chance, too. <3 your podcast, so many inspiring people! This inspiring episode gives me hope as I work toward doing something more lucrative with my sheep & angora fiber. Beautiful giveaway, too! Found the podcast through Camellia Fiber Co’s Instagram and so glad I did! Looking forward to future episodes. As an aside it’s comforting to hear that someone else has interstate-accident anxieties and that finding zen generally helped with that issue specifically…this is a significant worry I’m trying to work through as well! I’m new to IG and now to podcasts. I’m learning so many new things and making new cyber friends for knitting. I really enjoy your podcasts on my commute to work, and always enjoy trying new yarns! Your podcasts are so inspiring, and almost every line of fiber/yarn you feature is added to my wish list. Natural is always beautiful! I really enjoyed listening to Rebekka’s journey. I love hearing their stories of how they ended up where they are now. I am really enjoying all of the connections I’ve found through Instagram. 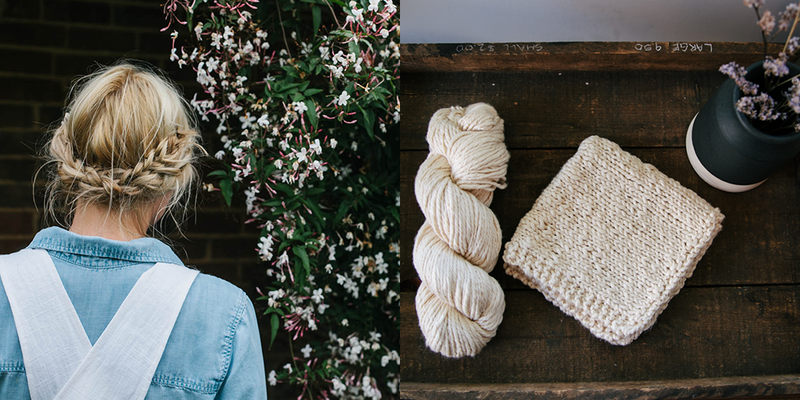 I found out about Rebekka’s lovely yarn through Beth Kirby (local_milk). Not too long ago I found Marlee Grace (havecompany) through Jess Schreibstein (thekitchenwitch). Then there are all of the amazing people I’ve discovered through the Woolful podcasts. I really love supporting local independent artists, thanks to Woolful and Instagram my “local” community has grown immensely. Thank you for helping us all discover these amazing people. What a wonderful episode, thankyou! I’d love to try camellia fibres yarn. What a lovely conversation! I so enjoyed listening to this podcast while I caught some knitting time while my two little ones napped. It was so fun to hear about how Camellia came about and hear from some of the makers and artists I follow on Instagram. And I can’t wait to get a road trip in to Have Company to squish some Camellia yarn for myself! 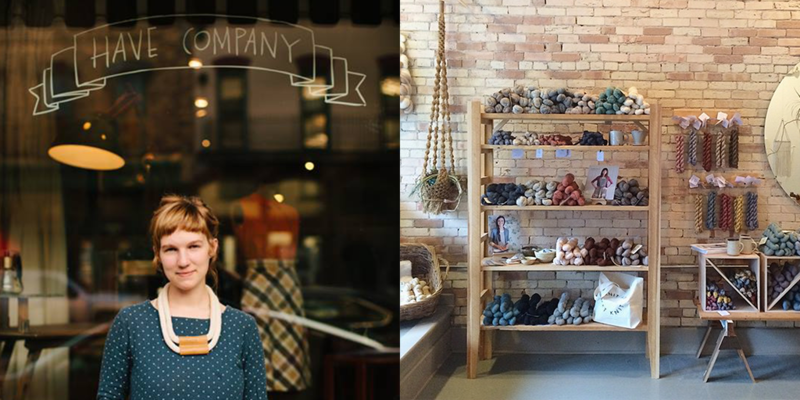 So excited to be one of their funders to bring Quince & Co and Camellia yarns to their beautiful shop. Thank you for the great podcast! First time on this site! 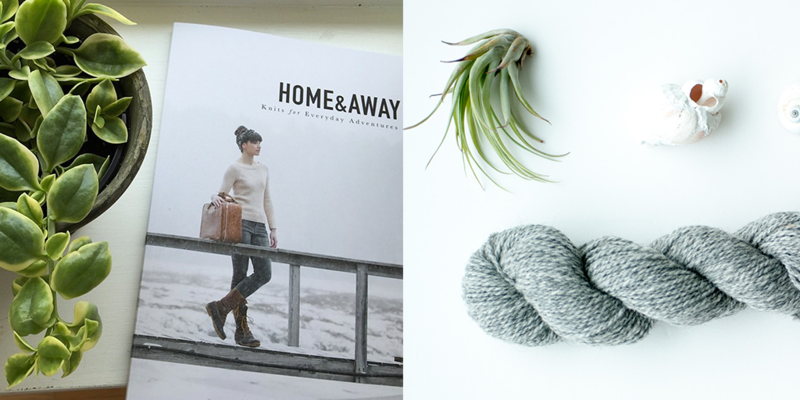 Beautiful photos and the yarn looks amazing! I loved this episode and hope that I can catch a shop update soon! I recently started listening to your podcast and I really like it! I’m looking forward to catching up on previous episodes. I don’t think my comment posted. Such gorgeous yarn, even more so hearing the story behind it. I love the story of the black and white yarn, loved that those two sheep are buddies in real life! Very inspiring, thank you for another inspiring episode. your podcasts make my days. Listen to all this amazing people is so inspiring. Thank you so much for open this whole new world for me. I’m so glad I hopped on the webstie after listening to the podcast – the images are so stunning. Such a lovely conversation. I always look forward to the next Woolful podcast, and this episode was no different – I loved it! Thanks Ashley and all involved. I just found your podcast through Alicia at Posie Gets Cozy and listened for the first time tonight. What a lovely podcast, thank you for the enjoyable listening to accompany hanging laundry on the line and washing up dishes! Beautiful yarn. I would love to create something with it. The colours and patterning on the skeins in the photos are gorgeous! This podcast is so calm and intelligent. Thanks a lot to camelia talking of sensations and meditation effect like that. Douce journée ! lovely! and thanks for another great podcast! It is wonderful to hear the journey each maker takes to get to their passion. I appreciate Rebekkah’s enthusiasm and honesty about her fiber journey. The products are lovely! Seriously love Rebekka’s shop. I think I purchase something every shop update. So happy you featured her this week! I learned about podcasts in general and your podcast specifically a little late in the game. So I think I’m back on episode 12. I just love what you do. It’s such a gift. Thank you. I am so in live with the Camellia Fiber Co yarns! The colors are so striking. You have inspired me to come up with a plan to quit my day job some day and become a full time fiber artist! !